Your destination for holistic classes, health & wellness services and products to heal your body, nourish your soul, and awaken your spirit. Sign up to receive our newsletter for a change to win a FREE Reiki session! Established in November of 2008, The Open Mind Center is continuing to grow and expand both physically and spiritually. The Open Mind Center appeals to those seeking holistic classes, bodywork and products. The Open Mind Center is a community health and wellness center in Roswell, GA, offering programs & healing services. 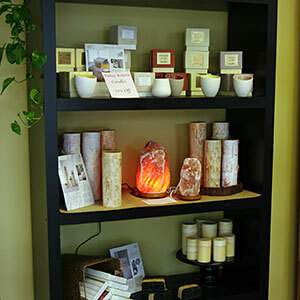 We also house a retail store that offers a large selection of healing crystals & stones, as well as many other products. Learn more about us here. This place is an amazing gem for Atlanta. They offer so many choices from yoga to Energy healing services and even classes to help you along your spiritual journey. I recently signed up to take my Reiki certification through them, and it was one of the most amazing decisions of my life. I also have met some amazing kindred spirits through the center which has giving me a great sense of community and support. I look forward to continuing my exploration with them and encourage others to do the same. To Receive Exclusive Rewards and Offers! Have You Ever Met The Type Of Person Who Just Seems To Be A Magnet For Good Luck? You know the type–every direction they turn they find a $20 bill, land th﻿at dream job, find that perfect mate, win a scratch off lottery ticket, and look amazing every step of the way. Well, we are here to tell you that there is no such thing as “good luck”. You can be that type of person too, when you are living a life of truth and authenticity, you can manifest your dreams! We can guide you, through our life coaching, to a better you, the “YOU” you always wanted! This is a special place where people and ideas converge. 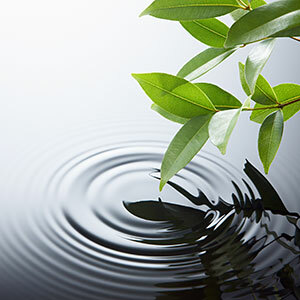 We facilitate personal development, conscious relationships, and optimal health. The Center is a well-spring of holistic thought and practice; a sanctuary from the stresses of modern life. OUR UNIQUE APPROACH FOR YOU! We understand that everyone is different and may require different approaches to get in tune with individual authenticity. The Open Mind Center encourages personal expression to be unique to the individual. Creative expression is essential to achieve balance and enlightenment. Our classes are fun, informative, and healing. They allow you to connect with like minded individuals with similar interests. Join us for classes such as Essential Oils for Anxiety or Essential Oils to Assist Your Yoga Practice and uncover a love of something new or a talent that has been tucked away. Even if you do not feel like you are on the cusp of something transformative or you are relatively content with your life, we can still help you elevate your life in areas that you are not even aware need heightening— such as your career. Professional development doesn’t necessarily connote “climbing the ladder”. We believe that everyone was born with a soul and life purpose. We have all been given certain gifts to be developed in order to live a more meaningful and joyful life. Just because you may wake up in the morning and not completely dread your job, it does not mean you are fulfilling your purpose. 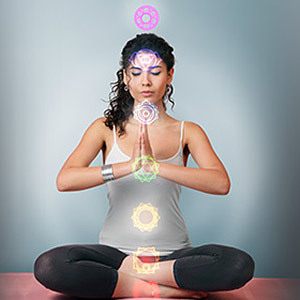 Services and workshops such as our Reiki Certification, Yoga, Yoga Teacher Training, Life Coaching, Intuitive Reading, and especially Soul Coaching, can help you uncover what your life purpose is and guide you to the ways of achieving it.The Open Mind Center is here to show you how to fight your “Goliath”, reach your goals, and ultimately fulfill your purpose. WHY THE OPEN MIND CENTER? At The Open Mind Center, we pride ourselves on our holistic approach of healing. The services we offer allow you to dive into your subconscious to reveal the cause or trigger of a particular, belief, behavior, or physical ailment. These services include Reiki, Pranic, Shamanic, chakra/energy balancing, etc. Our staff will gladly guide you in the right direction and help you find what is best for you. We offer several classes, suitable for all fitness levels. Yoga - Not just a fitness exercise, A complete tool for the MIND, BODY & SPIRIT. Over the last forty years, yoga has gained popularity and become a wide spread practice throughout the United States. It’s amazingly versatile and has a wide range of uses for healing. Some practice yoga to rid the body of aches and pain, other to increase energy, flexibility, and range of motion, while some simply want to de-stress and rid the mind of clutter and anxiety. While most institutions or yoga studios only focus on the external aspect of the yoga, while we at yoga Atlanta center help you understand the spiritual aspect as well so you can heal from the inside out. The mind, body, and spirit are interconnected and function as one cohesive unit. Part of reaching levels of optimal health is feeding your spirit as well as your mind and body. Spiritual inquiry is a necessary process in order to get in tune with the universe and you subconscious. To manifest the type of life you want physically and enjoy the abundance, you must wake up your spirit and feed it accordingly. We help you to bring the best out by helping you to discover your true self. Discover your gifts through our various workshops such as Development of a Healer and Enhancing Your Intuitive Abilities, etc. The information and support you will receive will empower you to take guided action in your life. Your personal development will accelerate when you allow your mind, spirit, and body to align and come to a place to balance. In addition to all of the above, The Open Mind Center provides wellness and bodywork services. 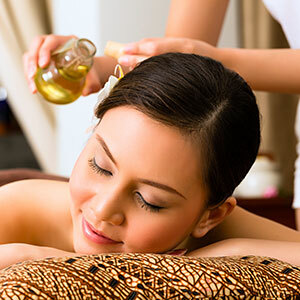 These include meditation, massage therapy, and energy healing. We also house a gift shop & bookstore where we offer a wide selection of holistic books, candles, crystals, incense, jewelry, personal care products, teas, meditation supplies, yoga supplies, and much more. And, a portion of our proceeds are donated monthly to local charitable organizations. If that’s not enough, we also feature a tea room where you can unwind while sipping tea or waiting for a class or service to begin. The Open Mind Center is your one-stop-shop for all of your wellness needs. Our center is a well-spring of holistic thought and practice–a sanctuary from the stresses of modern life and we welcome you with open arms as you embark on your personal journey! THE OPEN MIND CENTER: A PLACE TO BE. A WAY TO BE ! Join us now for the chance to win a free session! Just signup for our newsletter for your chance to win!